Createspace Independent Publishing Platform, 9781985281646, 202pp. Marry for Love, Austen Said-Did She? Tradition holds that Jane Austen lived a quiet single life. But what if she wed a man equal to her intelligence, character, and passion-and the family covered it up? "The Marriage of Miss Jane Austen" resolves the mystery of Austen's life during the "missing years" of her twenties: -Why the enduring rumors of a lost love or tragic affair? -Why, afterward, did the vivacious Jane put on the "garb of middle age" and shut herself away to write her books? -Why, upon her death, did her beloved sister destroy her letters and journals from this period? 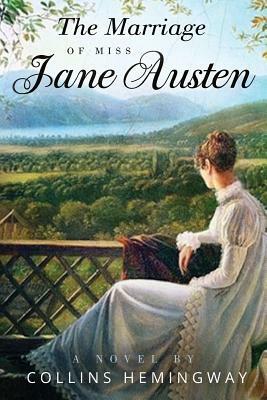 An accurate rendering of her life and tumultuous times, The Marriage of Miss Jane Austen fills in the blanks of Austen's "lost years" with a riveting love story that also engages the protagonist in the most important and the dramatic events of the Regency era. Praise for the trilogy: 'A skillful portrayal of an early nineteenth-century icon takes this historical romance on an imaginative journey of the soul. ... These fascinating people step off the pages in lifelike form.' -Foreword CLARION Reviews, 4 stars 'Hemingway ... captures the energy of the times, while also writing with the irony and sly humor of Austen herself. ... Truly a worthy addition to the Jane Austen legacy.' -Blueink Starred Review 'Enjoyable ... an imaginative, well-researched series.' -Kirkus Reviews. Collins Hemingway's lifetime of writing experience, coupled with his passion for literature, history and science, enables him to create complete, sharply drawn characters engaged in the complex and often dangerous world in which they have a stake. His fiction is shaped by the language of the heart and an abiding regard for courage in the face of adversity. He has a graduate degree in English literature and has also published five nonfiction books.